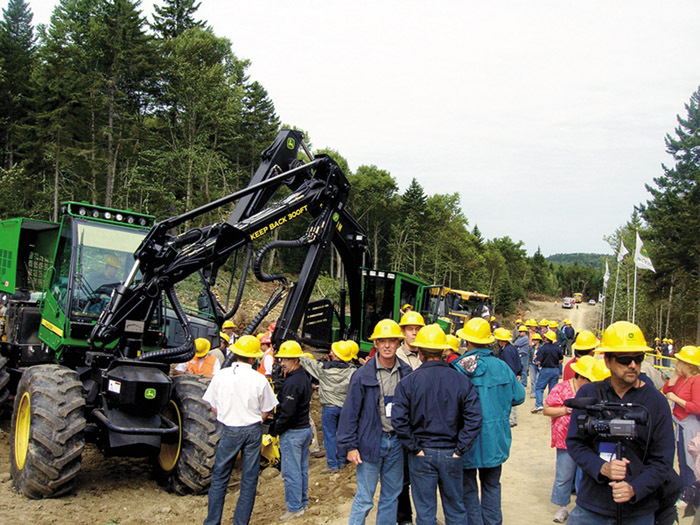 Timber Harvesting’s September/October issue spotlights Maine’s Hanington Bros., Inc., the 2005 Timber Harvesting Logging Business of the Year. Along with this award, President Bush has also publicly recognized the company, which is headed by standout leader and visionary Steve Hanington. 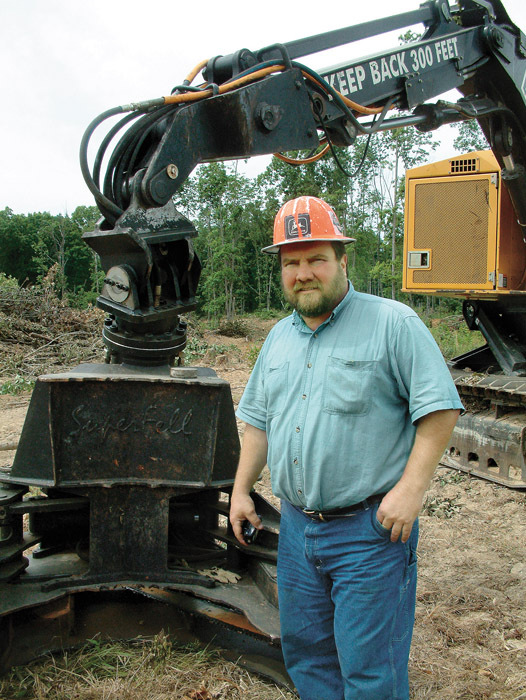 Also featured is Tennessee’s Wood’s Logging, which has tweaked efficiency with a track-type carrier and grapple saw that make a difference in steep ground and prime hardwood. 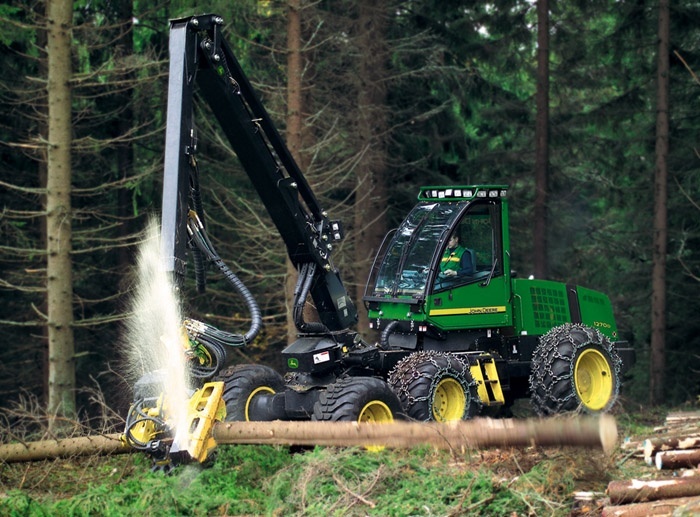 One article highlights the makeover of John Deere’s CTL machines, while another discusses how associations prove their value repeatedly but questions whether or not loggers are willing to step up. Let’s face it: The logging association business isn’t much of a growth industry. Logging’s link in the fiber supply chain is currently stretched as never before, under fire from all fronts as contractors grapple with rising insurance, labor, equipment—and yes, fuel—costs. After considerable research and travel to see various machines in action, Larry Wood, owner of Wood’s Logging here, chose a Hultdins SuperFell 85l grapple saw and attached it to a John Deere 753GL track carrier. The machine allows him to process large hardwood sawlogs—up to 35 inches DBH—at the stump. Recently, John Deere's forestry product lines were given a thorough workover, from major components to nuts and bolts. The result: harvesters and forwarders that incorporate more than 300 product and process improvements designed to boost both uptime and productivity and reduce daily operating costs. 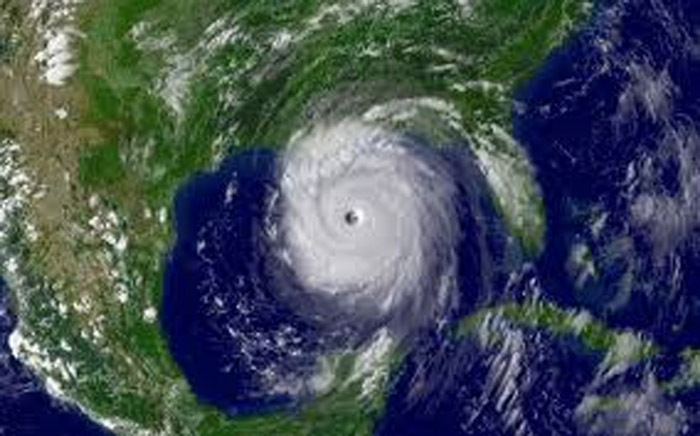 Within the first 10 days after Hurricane Katrina ravaged the U.S. Gulf Coast, no one could say for sure what overall effect the massive storm had on timber supply, harvesting and mill operations in the area. Information was sketchy as communications were still limited. While touring the operations of Timber Harvesting’s 2005 Logging Business of the Year award winner this summer, I noticed that principal Steve Hanington had obviously surrounded himself with a very skilled and competent team of self-motivated folks who enjoy the remoteness of Maine’s northern woods. When I was graduated from Virginia Tech in 1982, jobs for foresters were scarce. A deep recession was underway and the forest products industry was among many that had cut back. I remember discussing my career choice with my father and he questioned my decision, noting the low pay and poor job market. John Deere and its dealers in Maine and Canada’s Maritime Provinces informed, pampered and entertained 400 customers and their spouses at its most recent In The Woods (ITW) event, held August 19-20 in St. Andrews, New Brunswick. The event attracted 500 and included 40 corporate personnel, 30 dealer personnel and 30 OEM-dominated guests. 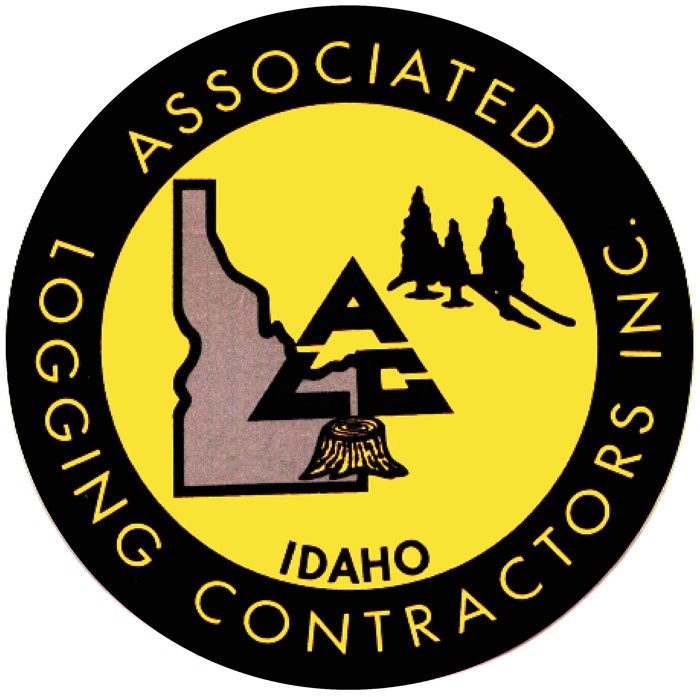 Are you a member of a loggers’ group or association? If not, why not? If so, do you feel you’re being well served by that group and its leadership? 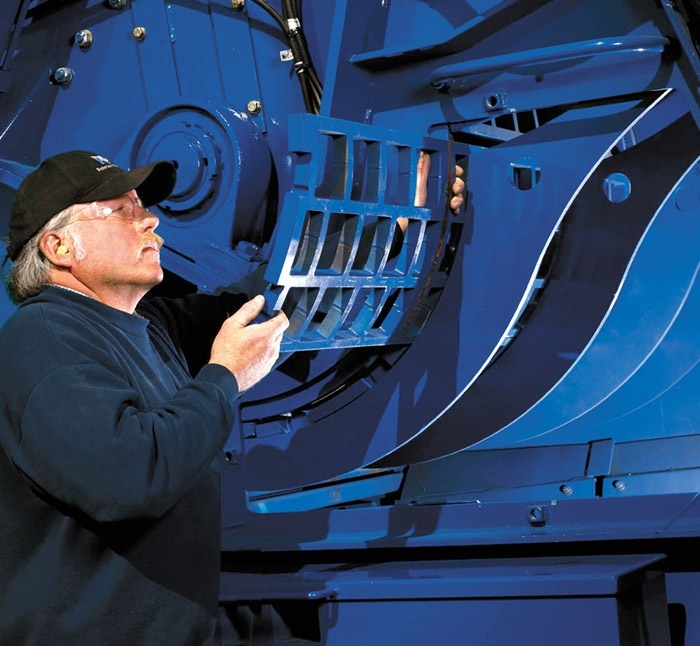 Peterson Pacific (Peterson) recently obtained U.S. patent number 6,910,647 for the company’s side-removal screen system utilized on the Peterson 1410, 4700B and 6700B families of recyclers. 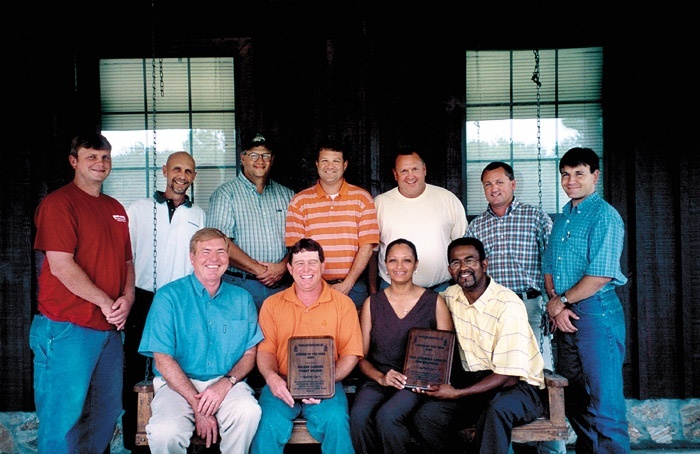 Timberland Harvesters Inc. (THI) in August expressed its appreciation to two of its logging contractors at a steak cookout at its hunting lodge in Pike County, Ala. ‘Logger of the Year’ honors were bestowed on Terry Wilson, Vaiden, Miss., and Ivan Caldwell, Midway, Ala., for their performance and professionalism. Wilson and Caldwell received a plaque and an expenses paid weekend getaway. In your ‘Trucking Trends’ article (July/August 2005), you are openly suggesting small truckers are a nuisance and of little value in the timber industry. These operations are the mainstay of our economy. Any price adjustment in the timber market finds its way down to the trucker.